​It was May 2012 when Jonathan sailed away from Spitsbergen. After 10 years sailing / chartering in the high Arctic it was time for new horizons. Plans were made for just 4 months, it seemed too prudent to make plans of what to do after the North West Passage. By way of Jan Mayen and Iceland we sailed around Cape Farwell and up the west coast of Greenland. From here the bit for the North West Passage began. You can read all about it in the blog. Bahia California, or the Bay of Cortez, turned out to be a great cruising ground. Just that it was getting towards summer there while we were trying to paint the decks. We just could not cope with the heat and needed to sail away. 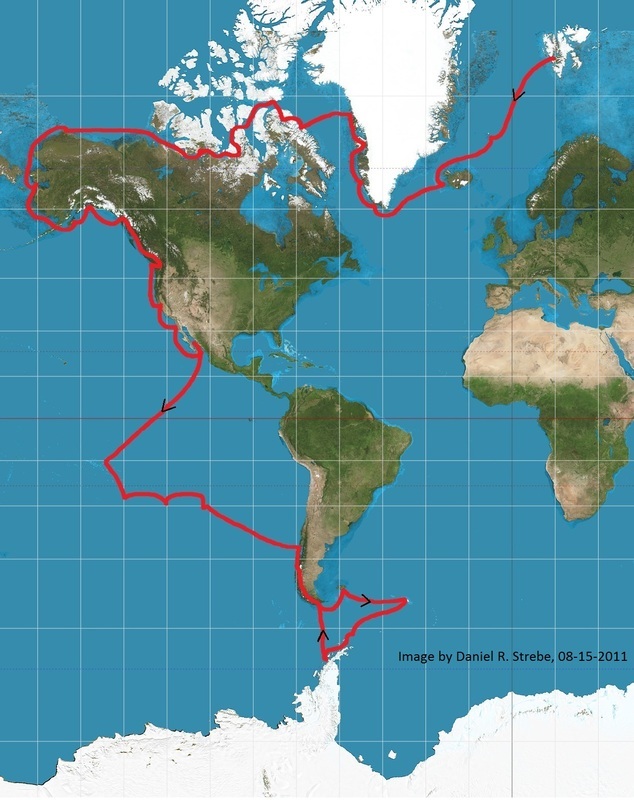 We made a detour into the Pacific to avoid contrary winds and currents along the South American continent. Apart from the Marquesas we enjoyed Gambier, Pitcairn (of Bounty fame) and Easter Island. Since Puerto Montt in Chile we are in cooler waters again. Down the Patagonian channels all the way to Tierra del Fuego. That was in December 2014 and now in April 2016 we are still here, or better here again. Early 2015 we sailed to the Antarctic. It was just fantastic to sail there in our own little boat amongst all the icebergs. We needed more time there so we decided on a Southern Ocean tour for last Austral summer. Caro and me sailed from Puerto Williams by way of the Falklands to South Georgia, one of the most unique places on earth. The wildlife is just fantastic!! Down to the Antarctic Peninsula again for 2 months of ice and more ice. At times a bit more then we wanted if we were forced out of an anchorage once again! Crossing the Drake Passage back to South America was as it should be, a bit rough at times . . . . . So now April 2016 and we plan to spend another winter in the channels of Patagonia.